Australian copper producer Aeris Resources has made an offer to buy Glencore’s CSA copper mine in New South Wales for US$575 million. The junior miner said that negotiations with Glencore for the mine in Cobar were at a late stage, with the offer comprising $525 million in cash, $50 million in Aeris shares and a royalty payable to the Swiss commodities trader. 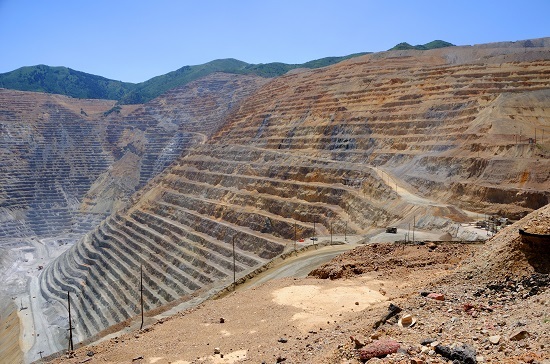 ASX-listed Aeris said that the acquisition could be funded through a combination of debt, an equity capital raising and a streaming agreement which would see it sell silver produced at the mine alongside copper to Glencore. The Cobar underground mine produced just over 150,000 tonnes of copper last year and has a mine life of five years and ore reserves around ten years, according to Glencore’s reserves and resources report. “The final sizing of, and participants in, the relevant components of the raising are yet to be finalised,” Aeris added. A confirmed backer of the deal is Orion Mine Finance. Glencore aims to raise $1 billion from asset sales this year as it looks to boost its $2 billion share buyback programme. Finalising a deal with Aeris would put the company halfway towards its target.